and not found what you are looking for? Once you become a registered member, you can create you own "Job Search Agent" that will send you an email when a listing within your criteria is posted. Membership costs $9.95 per 30 days of access. Sign up now and get access to all of the jobs in the fields you want to work in, centeralized in one easy to use web site! 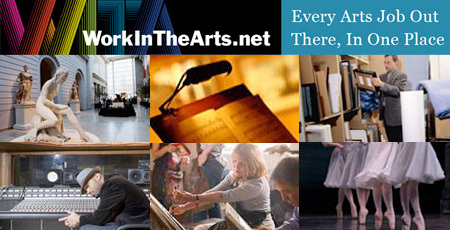 A portion of any profits from Workinthearts.net goes to Americans For the Arts, a 501c3 Charitable Organization.